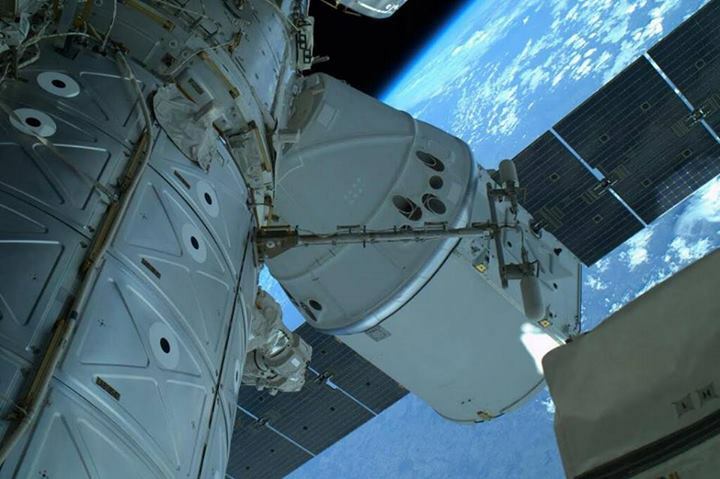 The International Docking Adapter (IDA) that was transported to the International Space Station (ISS) in the trunk of the SpaceX Dragon spacecraft was successfully installed to the end of the Pressurized Mating Adapter 2 (PMA-2) during a spacewalk today. Astronauts Jeff Williams and Kate Rubins performed a 5 hour 58 minute spacewalk to complete the installation of the IDA, with the exception of a small issue removing the cap from one of the cable connectors the installation went very smoothly. Once the IDA was soft docked to the PMA Astronaut Takuya Onishi commanded two sets of hooks to permanently mate the IDA to the PMA thereby allowing Jeff and Kate to reconfigure the cables on the IDA to allow future visiting vehicle to dock with it. 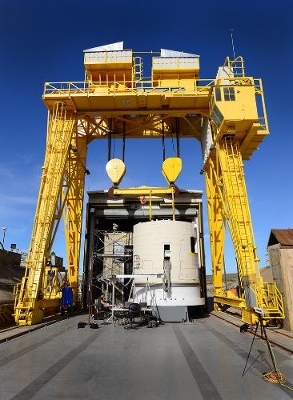 Once the IDA work was completed they two moved on to installation of cables that will be used for the second IDA which is due to be delivered in late 2017. The crew were planning to attempt some get ahead tasks, however Jeff started to have communication issues and they decided to returned to the airlock to conclude the successful spacewalk. This was the fourth spacewalk for Jeff, and the first for Kate. 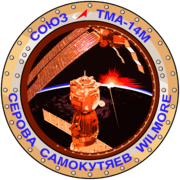 The three crew members Aleksandr Samokutyayev, Yelena Serova and Barry E. Wilmore aboard the Soyuz TMA-14M have now entered their home for the next six months. Following a smooth docking, leak checks were performed and the hatches opened allowing the crew to enter the station. 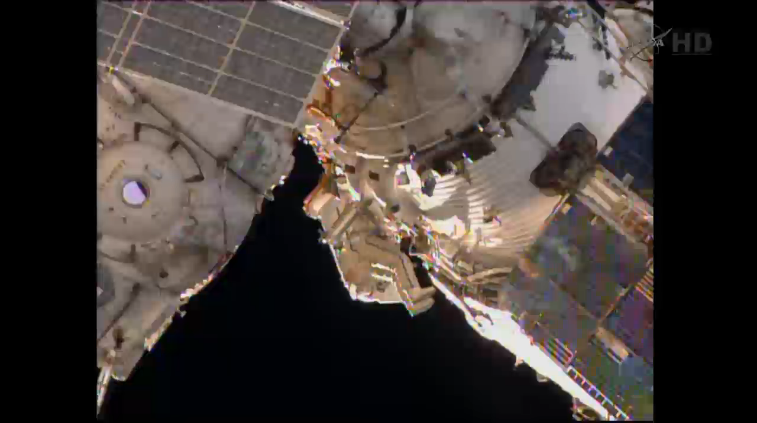 Just before the hatches opened NASA confirmed that after the docking of the Soyuz TMA-14M to the Poisk module the stuck Solar Array unexpectedly deployed. The hatch opening occurred almost an hour later than originally planned. Once on board the normal teleconference with the families and dignitaries on the ground was held before the crew headed to bed for their first night in orbit. A fun fact from this arrival, there are 18 Zebrafish on Soyuz, add that to the 40 mice that arrived on Dragon earlier this week and the six crew members there are 64 living on the station currently. A Soyuz TMA-14M carrying cosmonaut Aleksandr Samokutyayev, the first female cosmonaut Yelena Serova and astronaut Barry E. Wilmore lifted off from Baikonur Cosmodrome at 4:25pm EDT to begin a four orbit, six hour journey to the International Space Station to complete the Expedition 41 crew complement. Following a smooth ride to orbit the spacecraft transitioned to orbital operations before beginning the accelerated approach plan that been adopted by the Russian Federal Space Agency for trips to the station. This reduces the amount of time the crew spends in the cramped environment of the Soyuz spacecraft, before the new plan was adopted it would typically take two days before the crew would be aboard the station. Docking is scheduled at 10:15pm EDT today and will be shown live on NASA TV, with hatch opening scheduled for a couple of hours later once all the leak tests have been completed. Below are screen grabs of the launch from NASA TV. This evening the second of three planned launches this week lifted off carrying the final European Automated Transfer Vehicle to orbit. The Ariane 5 rocket lifted off at 7:47:38 p.m. EDT from French Guiana carrying the ATV spacecraft, 64 minutes after liftoff the vehicle is scheduled to separate from the upper stage to begin it’s two week journey to the space station. 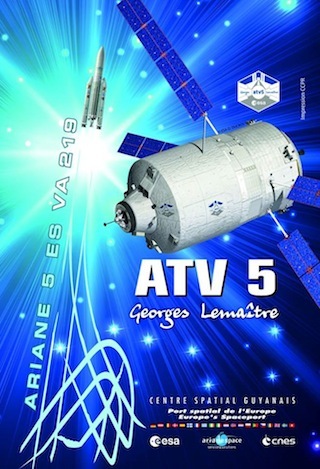 The ATV which is named Georges Lemaître after the Belgian astronomer is carrying over 8 tonnes of supplies to the ISS, including a record of 2695 kg dry cargo. In addition to being the final ATV it is also the heaviest payload that Ariane 5 has ever launched at 20,300 kg. The ATV vehicle employ’s an automated docking system allowing it to autonomously arrive at the station and connect to the Russian section of the station like the Progress and Soyuz spacecraft do. Once the spacecraft has completed it’s mission at the station it will be filled with trash and will then burn up in the atmosphere. 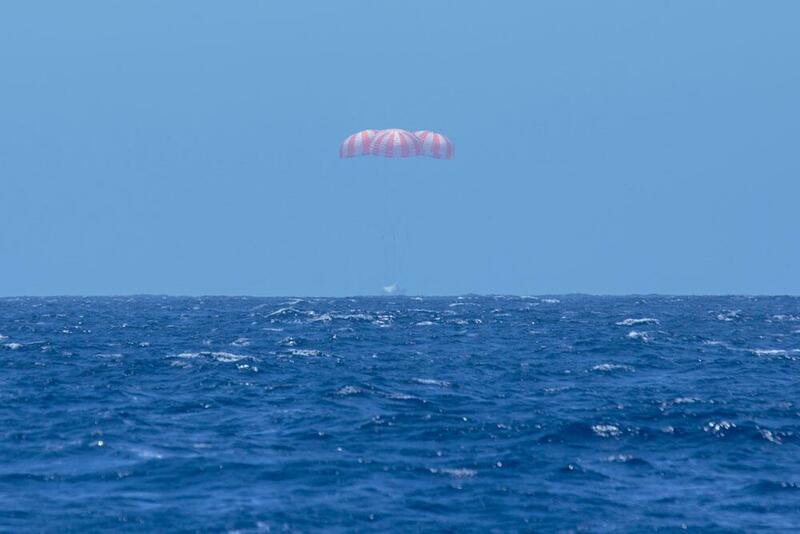 During the fiery re-entry the spacecraft camera’s will be transmitting live video of the re-entry. Below are screen captures of the launch from NASA TV. When New Horizons was first launched towards Pluto the plan was for it to complete it’s mission and then fly on to another object in the Kuiper belt and perform the same observations as it does at Pluto. The second destination has not yet been choose and researchers are now utilizing the power of the Hubble Space Telescope to aid the search. While there is still plenty of time the science team will need to ensure they determined the orbit of the object so they can make any adjustments to the path of New Horizons once it leaves Pluto. For more information on New Horizons check out it page here. NASA’s Messenger spacecraft currently in orbit of Mercury has allowed scientists for the first time to spot a hot flow anomaly or HFA. A HFA is a classic space weather event which has been previous spotted at Venus, Earth, Mars and Saturn. For more information on HFA’s and this detection check out the article here. Last week a number of teams took part in the NASA Centennial Sample Return Robot Challenge that was hosted by Worcester Polytechnic Institute (WPI) in Worcester, MA. For this years challenge there were two levels available, the first level teams would compete for 30 minutes and had to return the designated sample to their starting platform with the robot operating complete autonomously. Fourteen teams competed for this level with a single $5000 prize being awarded to the Mountaineers, first-time competitors from West Virginia University, Morgantown. For the second level, teams had 2 hours to complete the challenge, this time they had to autonomously collect as many samples as they could during the allotted time with the prize money based on total weigh collected within the rules which can be found here. This year there was only one team competing for this level, Team Survey who had completed level one last year, unfortunately due to a malfunction during start up of the robot they were not able to complete the challenge. They did reboot the robot and performed a demonstration run on the course allowing them to collect very valuable data on the performance of the robot. This was the third year of the competition hosted by WPI, next year Mountaineers and Team Survey will both be eligible for level 2 if they choose to compete. Love them or hate them SpaceX are clearly making waves in the satellite launcher business, this is born out by the news this week that Airbus Group and Safran are further strengthening there relationship by creating a 50-50 joint venture to combine the launcher systems from Airbus and propulsion systems from Safran. The full article with details on each company can be found here. Researchers in Chile have observed 800 celestial objects that are up to 100 times heavier than our Sun, and concluded that 90% turn out to be multiple systems. 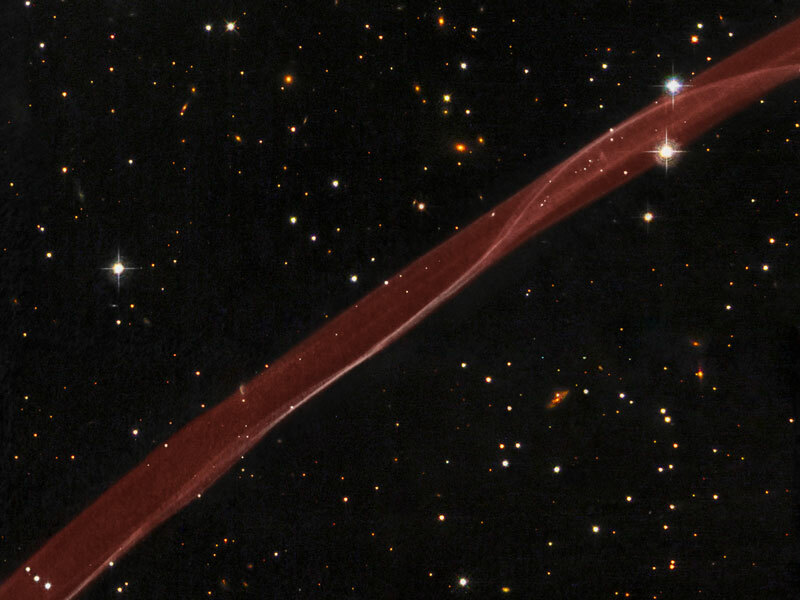 Current telescopes do not have the power to see individual objects with a multiple system however so they can only go by the oscillation of the brightness of the object while being observed. For more information on the research check out the article here. Astronauts on the International Space Station (ISS) will soon be able to enjoy a freshly brewed coffee instead of the instant coffee they currently use. The ISSpresso machine is a capsule based espresso machine built by coffee retailer Lavazza and aerospace company Argotec. 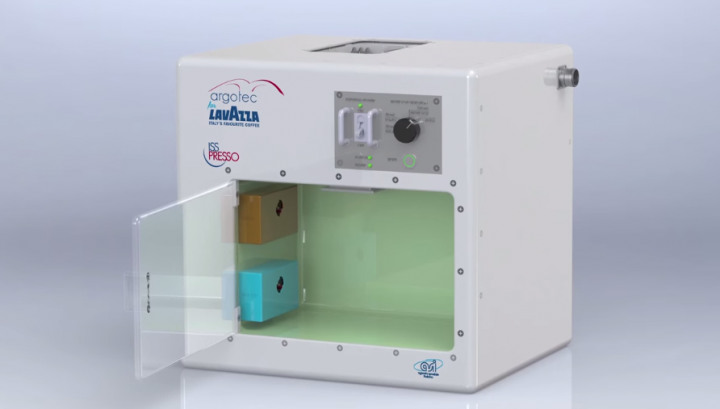 It is due to fly up to ISS later this year to coincide with the expedition of European Astronaut Samantha Cristoforetti who will not only be the first Italian woman in space but if all goes as planned by the first to enjoy a real Italian espresso in space. For the first time scientists have been able to observe the bulge on the surface of the moon that is created by the gravitational pull of the Earth on the moon, using NASA satellites. Due to the size of both the Earth and Moon they are in a gravitational tug-of-war which stretches both and causes them to have a slight oval shape. On Earth we see the effects of this in the tides, however on the moon it is much harder as it is solid on the surface. Careful observations of the surface have shown a 20 inch bulge on each side of the moon. While the same side of the moon faces the earth this bulge does move around slightly due to the wobble of the moon during it’s orbit. For more information and a video check out the article here. 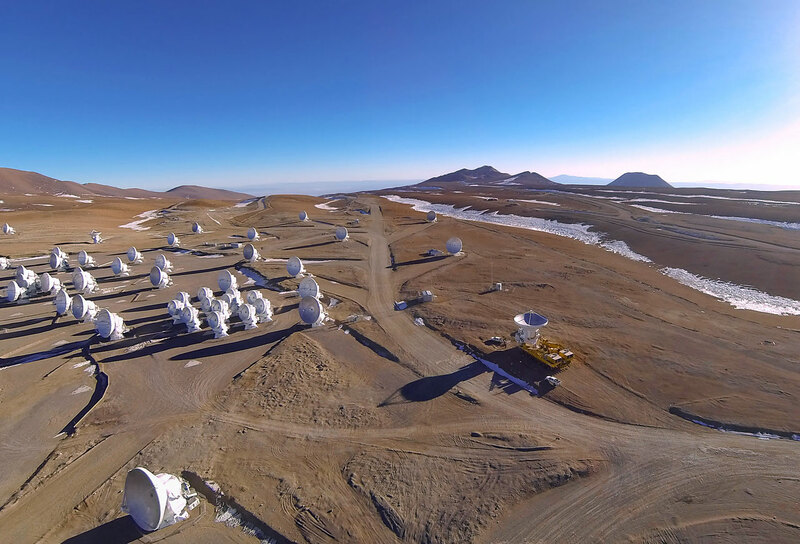 The final antenna for the Atacama Large Millimeter/submillimeter Array (ALMA) observatory, high on the Chajnantor Plateau in the Atacama Desert of northern Chile, has arrived. The array consists of 66 antenna’s which can work together to form a single massive radio telescope. The array has been operation since 2011 and has already returned stunning images of the universe. For more information on ALMA and to see the images check out the page here. Are there large planets beyond Pluto? The debate as to whether or not there are large planets beyond Pluto has been going on for decades and with the recent discovery of 2012 VP113 has revived interest in the subject. 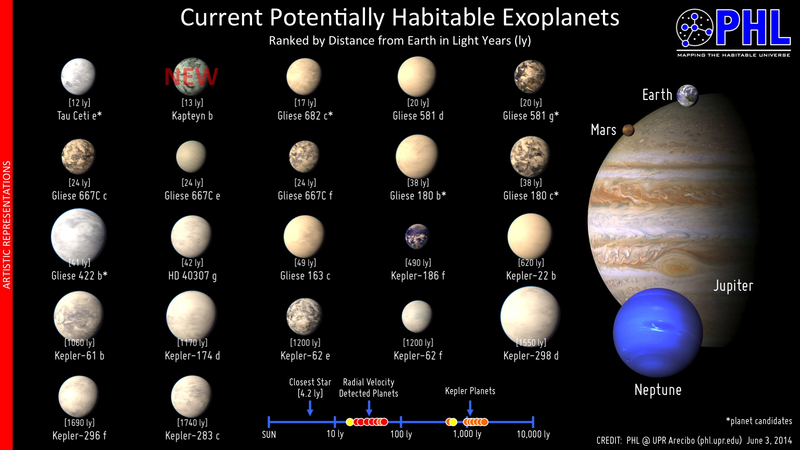 Observations of extreme trans-Neptunian objects seems to indicate that they are being shepherded by a distant, undiscovered planet larger than Earth. For more information on this check out the full article here. Astronomers for the European space observatory Gaia, which was launched last December have run into a problem with stray light entering the spacecraft. This stray light will effect how well it can see the stars it is observing, the Astronomers stated that this would only effect the faintest of stars. They also announced that the optics are not transmitting as efficiently as designed but that the amount of scientific data return will still be immense. For more information in Gaia and it’s mission check out the page here. A team of scientists utilizing supercomputers have developed a new absorption spectrum for methane that is 2000 times more comprehensive than before. This will allow Astronomers to sniff out Methane on alien planets and aid in the search for life beyond Earth. Scientists from NASA working with a team from the Arecibo Observatory have taken radar images of Asteroid “2014 HQ124”. Captured on the 8th June they are some of the most detailed radar images of a near-Earth asteroid ever obtained. The full article can be found here, including video. This week United Launch Alliance (ULA) signed contracts with multiple US companies to allow them to mature next-generation rocket engine concepts. ULA would like to be able to replace the RD-180 rocket engines currently sourced from Russia with home-grown engines. The contracts call for first launch in 2019. Boeing are preparing to send out 215 layoff notices to employee’s currently working on the Commercial Crew entry CST-100. Under the federal Worker Adjustment and Retraining Notification Act (WARN) they are required to give 60 days notice of any pending layoffs. The next round of Commercial Crew awards is due over the summer, due to the funding it seems likely only one of the three competitors Sierra Nevada, Boeing and SpaceX will be awarded a CCtCap contract to continue working on there system. A NASA mission designed to probe the nature of dark energy may also help discover thousands more exo-planets. The Wide-field Infrared Survey Telescope (WFIRST) which is due to launch in the mid-2020’s will be able to capture 300 megapixels per image and would rely on gravitational microlensing to enable it to capture the images. For more on WFIRST check out the mission page here. NASA has issued a Request For Proposal (RFP) for commercial services for the ISS. The International Space Station (ISS) Commercial Resupply Services 2 (CRS2) contract, a pre-solicitation conference is currently planned for August 7th with final proposals to be submitted by November 14th 2014. The services requested are delivery of pressurized and unpressurized cargo, return and disposal of pressurized cargo, disposal of unpressurized cargo, special tasks and studies, and ground support services for the end-to-end cargo resupply services. 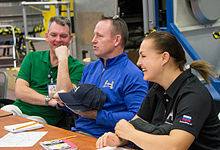 The supplies to be delivered by terms of the contract include air, water, food, clothing, medicine, spare parts, and scientific experiments for use in the U.S. and International Partner experimental modules. Cosmonauts Alexander Skvortsov and Oleg Artemyev conducted an extended seven-hour 23-minute spacewalk outside the International Space Station Thursday, installing a telemetry antenna, re-positioning an experiment and jettisoning a mounting fixture after moving another experiment to a recently installed payload boom. They ran into several issues during the spacewalk trying to remove bolts that had been in place since the Zvezda module was first launched in July 2000, however were able to overcome those issues and complete the tasks successfully. This was the first spacewalk for both Alexander and Oleg. 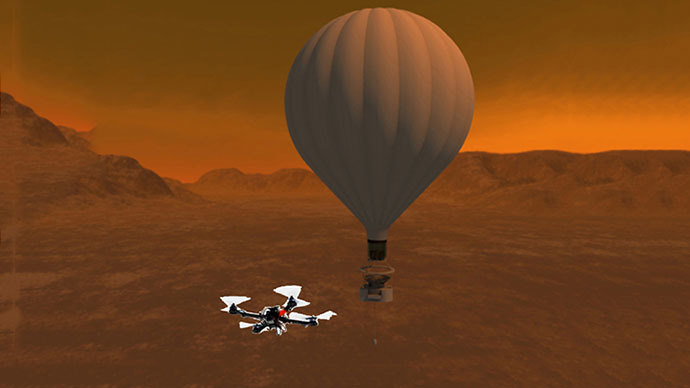 While one NASA probe whizzes by Saturn’s moon Titan on Thursday to analyze its atmosphere, the American space agency is also considering a plan to send a quadcopter drone capable of searching for life. 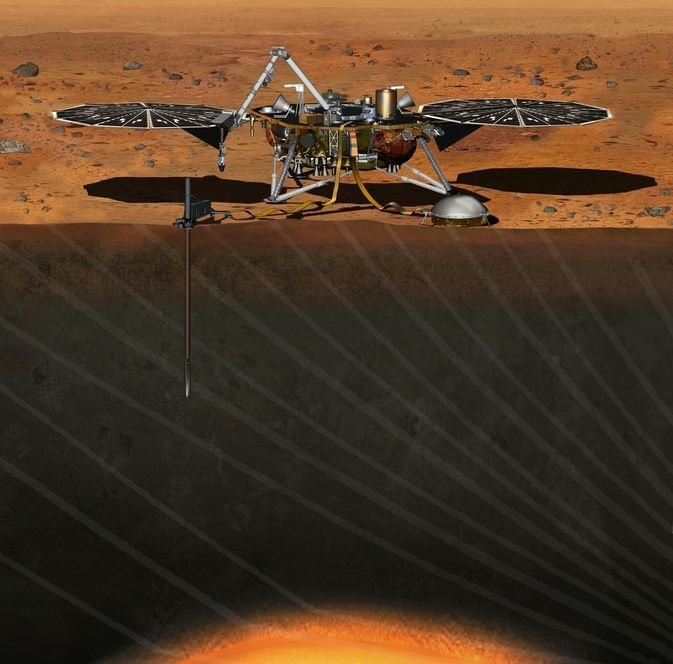 The ambitious idea was outlined by Larry Matthies, a research scientist and supervisor at NASA’s Jet Propulsion Lab in California, and involves a drone that would be capable of flying out of a lander or balloon. The drone would explore the moon’s landscape and seas, collect samples, and return to the “mothership” in order to recharge its batteries and submit whatever it collects for analysis. Sierra Nevada Corporation (SNC), headquartered in Sparks, Nevada, announces that it has signed a definitive purchase agreement to acquire the Orbital Technologies Corporation (ORBITEC) as a wholly-owned subsidiary of SNC. ORBITEC is a leading subsystems integrator and high technology development company based in Madison, Wisconsin. ORBITEC’s strong liquid rocket propulsion, life science and support, and fire suppression technology portfolio will enhance both SNC Space Systems’ Propulsion and Spacecraft Systems’ product lines. 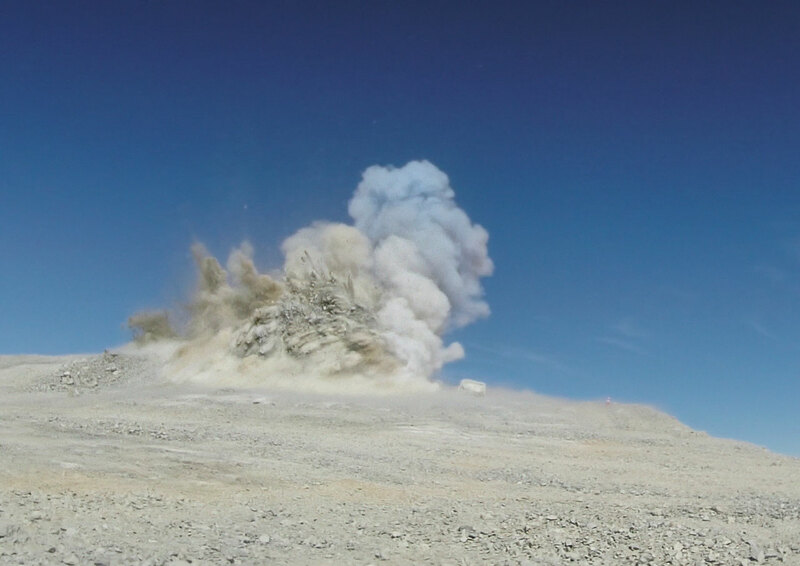 The European Extremely Large Telescope (E-ELT) groundbreaking took place this week with a live Webcast of the first blast designed to flatten the mountaintop that the telescope will be built on. The E-ELT will be the biggest optical/near-infrared telescope built so far with a 39m primary mirror made up of 768 hexagonal segments each 1.4m widfe and 5cm thick. It will collect more light than all of the existing 8–10-metre class telescopes on the planet combined, and 100 million times more light than the human eye. For more information on E-ELT check out it’s page here. A Russian Dnepr rocket launched a record-breaking thirty-seven satellites on Friday morning local time, deploying a cluster of spacecraft for scientific research and commercial operation. The mission departed on schedule from Dombarovsky in Southern Russia at 01:11 local time (19:11 UTC on Thursday). This launch saw the record for most spacecraft launched by a single rocket broken for the fourth time in less than a year. This week SpaceX conducted another test flight of it’s F9R rocket, this time with deployable fins on the side of the rocket, these are designed to give the rocket more control during descent and is another step towards Elon Musk’s goal of having a fully re-usable Falcon 9 first stage. No word yet when/if these will be flown on an actual Falcon 9 vehicle. There may also be a possibility of testing the controlled descent on the Orbcomm flight scheduled for tonight. The Orbcomm OG2 launch has been rescheduled for later today, last Sunday’s attempt to scrapped to allow Orbcomm more time to verify their satellites were in a good configuration for launch. The launch window starts of 6:08pm EDT and extends for 53 minutes. At time of publishing the forecast shows only a 30% change that weather would co-operate, with a slightly better 60% tomorrow. However the last launch had a low change of launching and they plugged away and got off the ground on time so there is a chance it will still go. This week NASA’s Bill Gerstenmaier moderated a panel discussion to consider the challenges facing the U.S. space exploration program. The discussion started with talk about the current progress on various aspects of Human Exploration including the importance of the International Space Station as a proving ground for technologies that will be needed for missions into deeper space. The discussion then turned to talking about the environment between the Earth and Mars, at present we are Earth Dependent and stuck in Low Earth Orbit, between us and Mars is a proving ground that will enable us to improve upon the technologies that are already in development. Beyond that we enter into the Earth Independent zone where we need to be able to survive without a quick escape route back to Earth. Julie Van Kleeck talked about the importance of taking small steps as we expand out to Mars, “We can’t just strap it all on a single rocket and go to Mars, we need to be sure that when we get there we can land and explore.” She went to explain that the goal was to become a space-faring race. They then talked about the progress of the SLS/Orion systems and the various missions that are coming up for the system. The first flight of Orion is less than a year away now and progressing well, the test vehicle has now been powered on and tests have started, the heat shield is in final testing and will be shipped from Boston soon. Boeing’s John Elbon also stated that SLS is currently 5 months ahead of schedule and below budget. Current estimates show that the expected $ per pound for SLS is the same as the current CRS contracts with SpaceX and Orbital*. During the discussion it became clear that current manufacturing techniques were definitely making a big difference in the construction of both Orion and SLS and were speeding up the process while reducing the costs. A video of the panel is available here. * Would need to see further data to validate this statement. Next week the NASA’s next Mars Orbiter will begin it’s ten month journey to the red planet aboard an Atlas 5 rocket, the vehicle is expected to enter orbit in late September 2014. So what is the Mars Atmosphere and Volatile Evolution (MAVEN) mission and what will we learn? The orbiter has two primary functions, firstly it will perform scientific investigations of the Martian atmosphere and it’s interactions with the Sun. Secondly it will act as another relay for the rovers currently operating on the surface of the planet, this function is currently handled by the existing orbiters Mars Odyssey and Mars Reconnaissance Orbiter both of which have been in orbit for at least seven years. 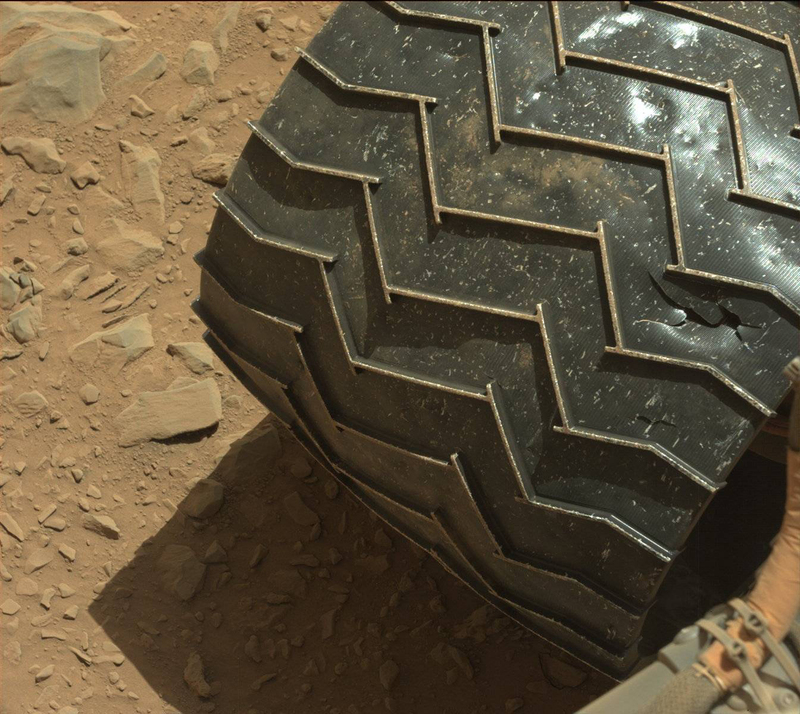 What science will MAVEN do? 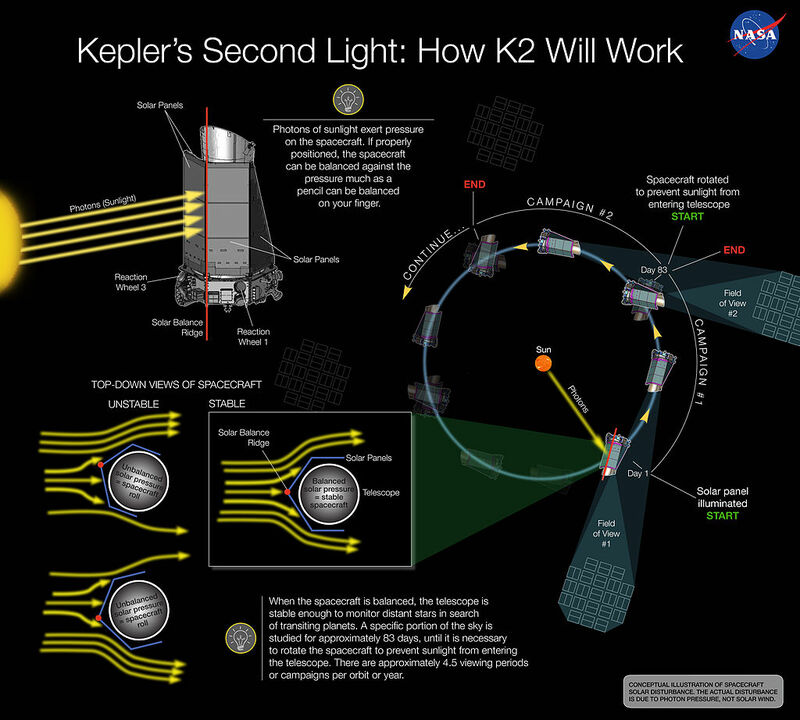 The spacecraft has been designed to explore the planet’s upper atmosphere, ionosphere and interactions with the sun and solar wind. Scientists will use MAVEN data to determine the role that loss of volatile compounds—such as carbon dioxide, nitrogen dioxide, and water—from the Mars atmosphere to space has played through time, giving insight into the history of Mars atmosphere and climate, liquid water, and planetary habitability. For further information on MAVEN check out the mission page here. Following a busy four days on the International Space Station which included the arrival of three new crew members, a spacewalk and the departure of three crew members the TMA-09M spacecraft landed safely in Kazakhstan, returning Fyodor Yurchikhin, Luca Parmitano and Karen Nyberg to conclude their six month mission on-board the station. Unlike previous missions where the departing crew would have landed before the next crew members launched the roles were reversed so that the Olympic Torch could be carried to the space station and returned in a timely manner. The Indian Mars Missions failed to change it’s orbit as expected this week due to a shutdown of the main engine sooner than expected. Following a review of the data mission controllers were able to perform an additional engine firing place the craft back in the correct orbit to allow it’s journey to the red planet to proceed. 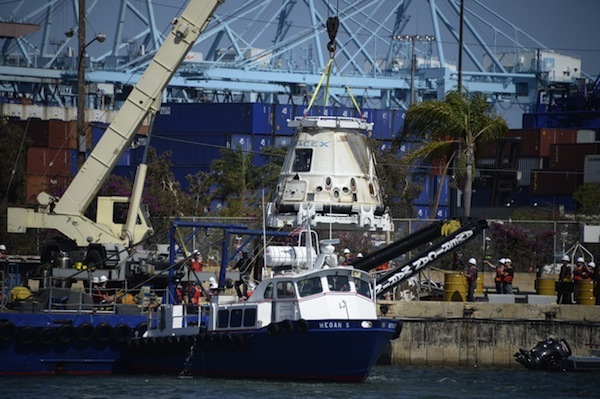 Why is Commercial Crew Important? During the Beyond Space (check name) panel discussion earlier this week one of the speakers mention that he had recently been to the Baikonur Cosmodrome to watch a Soyuz launch and commented on the fact that at present there are only two options for getting crew into space, neither of which was American. While the main discussion at this panel was around the SLS and Orion vehicles being created by NASA I think that we need to take a different approach and consider why Commercial Crew is just as if not more important than the government owed option. If we look at the airline, car, train industries there are multiple manufacturers of vehicles that are used to transport people, having multiple companies creates competition which has the result of lowering costs but also with the correct regulation improves safety. Take for instance the car industry the manufacturers pride themselves on the safety ratings their cars achieve. The same would eventually apply to Commercial Crew, with more companies involved in the manufacturer and launch of crewed missions there will be more options available to both government and commercial companies to launch into orbit. As Julie Van Kleeck said during the panel discussion we need to take the steps necessary to becoming a space-faring people, this will not happen if we only have government launchers and crewed vehicles. At present there are three clear leaders on the commercial crew field Boeing, Sierra Nevada and SpaceX each of who are operating under Commercial Crew integrated Capability (CCiCap) agreements with NASA to build commercial crewed vehicles. There are other companies working on crewed options including Virgin Galactic, XCor and Blue Origin most of these are currently focused on sub-orbital craft. The future for crewed missions is looking brighter each day, especially when you consider that SpaceX has made it very clear there long term goals are to land crewed missions on Mars. The next SpaceX mission to the station will be utilized to carry a new Spacesuit to the station as well as return a broken suit. Originally the plan was to return the suit that Luca wore during his aborted spacewalk, however after careful troubleshooting the astronauts on the station were able to repair that suit using parts that were delivered to the station with recent cargo and crew arrivals. At present there are four suits on the station only three are usable, the other is the one that will be returned allowing engineer’s on the ground to diagnose and resolve the problem. At present the launch of CRS-3 is tentatively scheduled for 2/11/14, however that date may change depending on the actual launch of two other SpaceX missions scheduled for the end of this year, the next of which has just been delayed from 22nd Nov to 25th. This week NASA celebrated the completion of the Commercial Orbital Transportation Services (COTS), the program that helped fund Orbital Sciences and SpaceX in the development of the Cygnus and Dragon spacecraft was successfully concluded following a successful demonstration mission by the Cygnus spacecraft last month. Check out a video from NASA here. 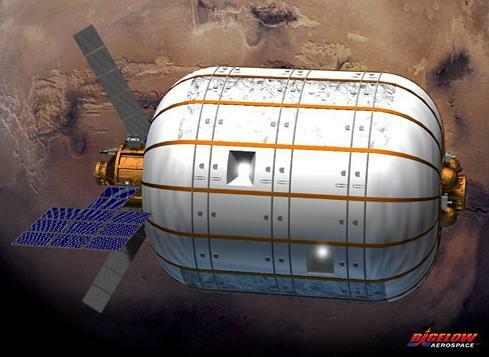 NASA also announced that on Nov 19th they will be issuing a final Request for Proposals for the Commercial Crew Transportation Capability (CCtCap) contract. This contract is to ensure competing companies can meet NASA safety requirements for Crewed Missions and is expected to conclude with actual manned flights to the International Space Station before 2017.